Comilla Victorians has lost the 1st qualifier against Dhaka Dynamites and so, Dhaka jumped to the final directly. But in the case of Comilla, they now have one alternative way. They have to play second qualifier match against the team which won the eliminator stage. The eliminator round was staged between Rangpur and Khulna where Rangpur won by 8 wickets. 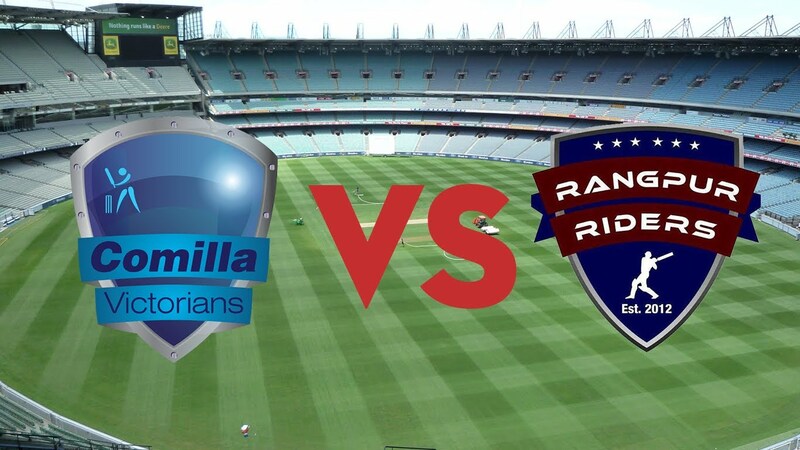 So, now considering the schedule Comilla Victorians will face Riders in 2nd qualifier. The match will take place in 10th December, 2017 at Sher-e-Bangla National Cricket Stadium, Dhaka. However, the fifth season of Bangladesh Premier League has started with seven franchise teams and each of them has played already twelve group stage matches and against the same opponent, they will play twice times. Most point holder four teams get qualified for the knockout phase. Now, considering the head to head stats between Comilla and Rangpur, both are top rated and most potential competitors in BPL and they have talented and experienced T20 experts in their squad. In Phase four, this two giants faced against each other where Comilla beat Rangpur by four wickets. However, earlier in phase two games, Rangpur was defeated against Comilla for the first time in the season of BPL by 14 runs. So, it seems that Rangpur has no good history against Comilla. They faced twice times in group stage but faced defeat in both times. But if we consider the recent performance of Rangpur Riders, they are in great form as well as their players. They have some most destructive players like Chris Gayle, McCullum etc and on their day, no bowlers could face them well. Like in last match against Khulna, After losing two wickets Chris Gayle stood strong and played an amazing innings. He made very effective century there and scored 126 runs in just 51 balls. So, if he would play with his own style against Comilla, then something big could happen. On the other hand, Comilla Victorians has passed the group stage by standing on the top position on the point table. In group stage like all the teams, Victorians played twelve matches and won highest nine times. But came to qualifier 1, they faced a heartbroken defeat against Dhaka Dynamites. In the day/ night competition Dhaka Dynamites scored 191 runs but Comilla lost their all wickets in just 96 runs. So, they faced a big defeat there. Now, against Rangpur Riders they have to win to go to final. On the other hand, Rangpur Riders yet to touch the title of BPL and so, they are desperate to beat Comilla and move to the final. Now, let’s see who can make it to the final.